The state of Connecticut is on-boarding Next Generation 911, the texting 911 capability for emergency services. Call if you can, text if you can’t. 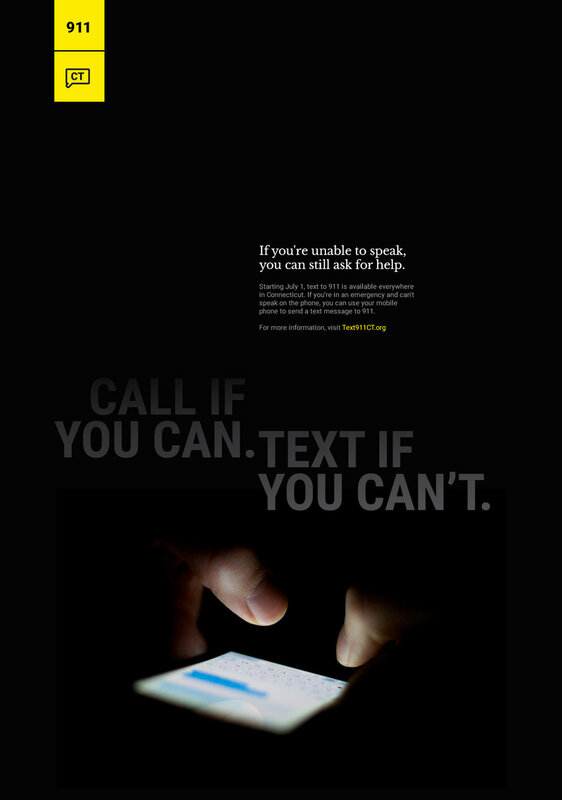 CT now offers text 911 service for emergency situations where calling 911 is not possible or safe. The presence of a large canvas of black (or lack of light) represents the urgency of the situation. 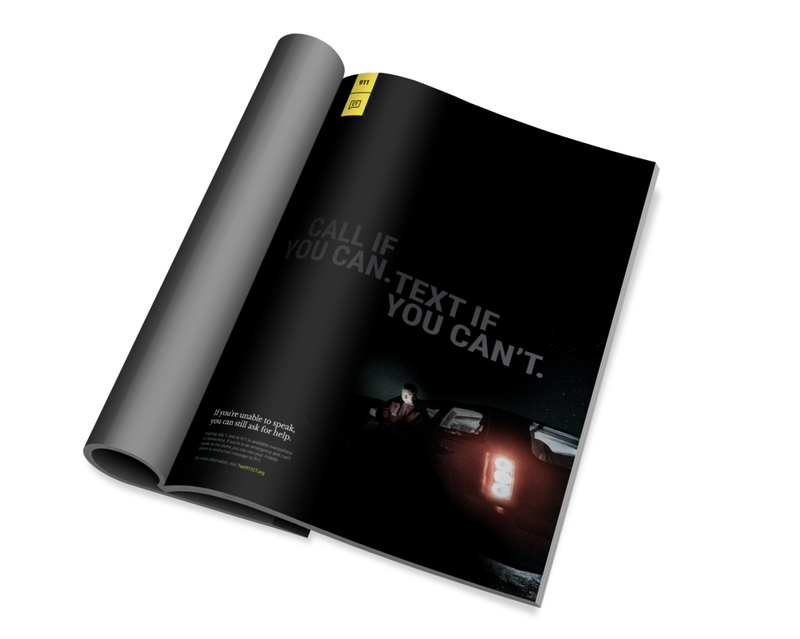 Similar to the match in a dark room, the phone’s glow became a sign of hope and the hero of the scenario. Visually darkness represents silence and in all situations it is the lack of spoken words and music that furthers this concept.